Your garage door will gain immeasurable benefits from regular preventative maintenance. Depending on the type of door you have, its age, and the surrounding climate, it could last you anywhere between five to twenty five years. This is, of course, provided that you take good care of it, which is where maintenance comes into play. No one knows this better than our technicians. We follow a concise check list when we service a customer's door, to ensure that all the bases are covered and that all of the mechanism's moving parts are able to move smoothly and efficiently. You may open and close your garage door several times a day, without even considering how much stress this puts on the mechanism. Unfortunately, all it takes is for one part to break down or to start malfunctioning to create a problem with the system. It’s a little like a snowball effect. All the components have to be able to work together in an optimal way, and one tiny issue will affect other parts until it becomes a major problem. Let's take the springs for example. The more you use your door, the weaker these components will get, and their tension will need to be adjusted from time to time to ensure that the door remains balanced. Failing to do so will result in these components overstraining needlessly, which will make them break sooner rather than later. Because spring adjustment is a very dangerous task, you should let our professionals handle it for you, and avoid the associated risks. It's very important to ensure that all of the system's different parts are in the best shape they can be, and this can be ensured via different tests and a visual examination. Frayed cables and bent tracks are known for the problems that they can cause, and therefore if you have a professional check them, you'll be able to have small issues nipped in the bud. We'll inspect the door panels, the opener's drive system and even the hinges and the rollers. Any issue we discover we will deal with on the spot. No inspection is complete without checking the safety features that allow your door to avoid hitting obstacles. Without a doubt, the safety feature that needs the most focus are the opener photo eye sensors, as if they become misaligned or blocked, your well-being will be at risk. In addition to testing their functionality, we'll also test the auto-reverse mechanism, which is in charge of detecting resistance and reversing the door accordingly. We'll adjust the force and travel limit as needed and ensure that the opener will open the door back up if it encounters an obstacle while closing. 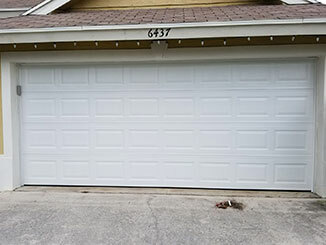 Rather than waiting for some problem to raise its ugly head, call Garage Door Repair Studio City and have our technicians make sure that every part of your system is working optimally. We'll make sure that every minor issue is properly addressed before it gets a chance to develop into something worse.